The term ‘free state‘ dates back to South Africa’s early history when, for almost 150 years, the white settlers, who lived between the Vaal and Orange rivers in an area they called the Orange Free State, were independent of British rule. Today the fundamentally Afrikaans province is also the home of the country’s judicial capital and birthplace of the ANC. However, the Free State’s major appeal is its natural beauty, open farmlands, and uninterrupted sky, quirky, idiosyncratic towns and villages, interesting road routes, and the vast rocky mountain area of the East Highlands. 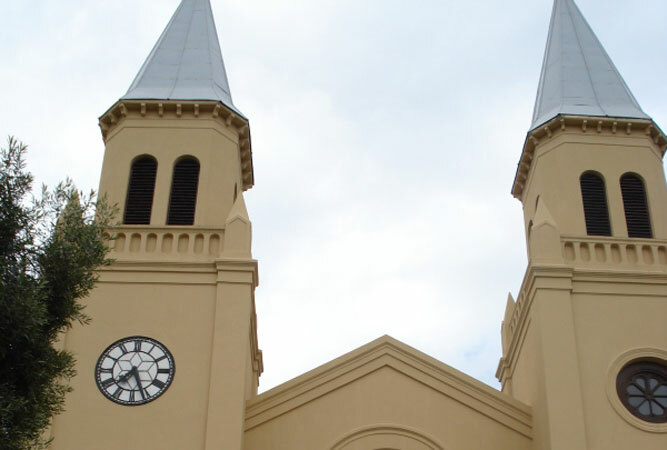 For more on the Free State’s history, visit the City of Roses, Bloemfontein. This historical heartland is awash with museums, memorials and monuments. Lying just outside Bloemfontein this landscaped garden is well worth a visit for its beautiful valley setting, dolerite koppies, woodland, magnificent examples of wild olive and karee trees, herbal garden, clearly labelled tree walk, Hartbeeshuisie replica, lake and accompanying bird hide. Over 124 different birds have been spotted here and 54 mammals inhabit the garden, which also displays over 400 plant species of the region. The garden’s nursery is well-stocked, the restaurant delivers good food, and sunset concerts and moonlight walks are the cherry on the cake. A perfect space for walks and picnics. The Free State’s Eastern Highlands are without doubt the province’s piece de resistance. 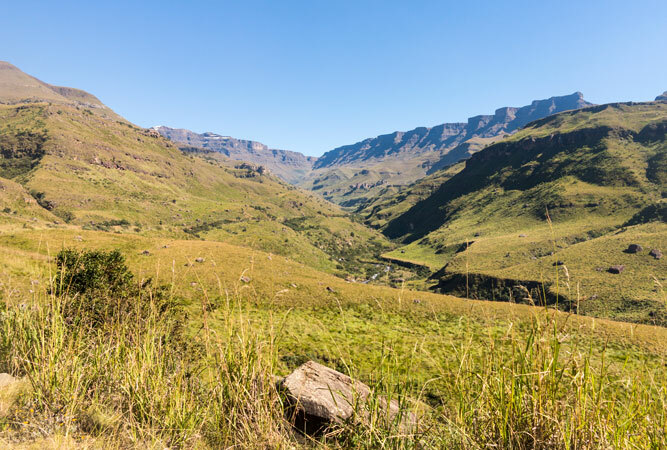 Forming the border between Lesotho and the Free State, this northern-most edge of the Drakensberg Mountains towers over a region that rests between Route 26 and Route 49, with the Golden Gate Highlands National Park at its heart. Within the park are golden sandstone cliffs awash with overhangs, caves, and rock shelters, featuring the iconic Sentinel buttress. The setting sun’s rays on the sandstone cliffs is arguably one of the most awe-inspiring sights in the country. Platberg, as its name suggests, is the closest thing to Table Mountain in the Free State. This 9 km long, 2 377 metre high stand-alone mountain, just outside Harrismith, is an extension of the eastern foothills of the Drakensberg, its summit and western slopes a nature reserve in which grow endemic alpine plants unique to this part of the country. This is a photographer’s and bird watcher’s destination. A grove of oak trees that now serve as the reserve’s picnic area date back to the 1947 British royal family tour. The mountain serves as the focus of the Platberg Marathon – a gruelling, annual cross-country run. 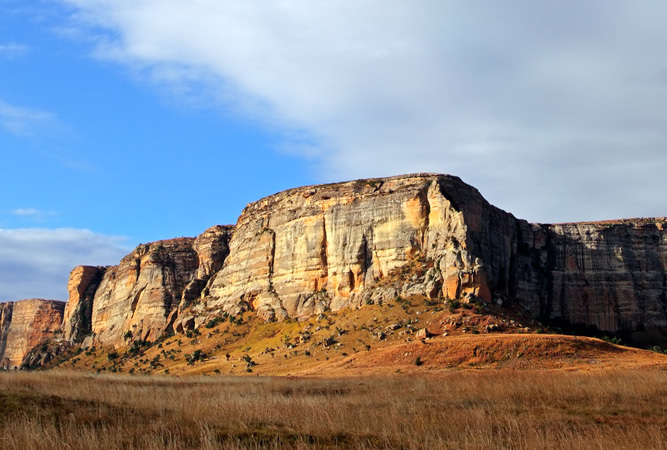 The little town of Phuthaditjhaba is the nearest little town to the Sentinel hike up the Drakensberg Amphitheatre, one of the most spectacular escarpment hikes in the Free State. The 10 km trail starts in the Free State and ends in KwaZulu Natal, leaving the Sentinel car park just outside Phuthaditjhaba. This route is also regarded as one of the easier hikes up the escarpment (when compared with hard-core passes like Giant’s Castle and Cleft Peak). Managed by Witsieshoek Mountain Resort the hike involves a set of intimidating double chain ladders and a steep and rocky path. The views from the top across the Amphitheatre are gob-smacking. One of the biggest and best-preserved wetlands in southern Africa, Seekoeivlei lies close to the little town of Memel. The Ramsar wetland – a floodplain drained by the Klip River and a number of small, seasonally-flooded oxbow lakes – is a crucial space for well over a quarter of the Free State’s endangered birds. 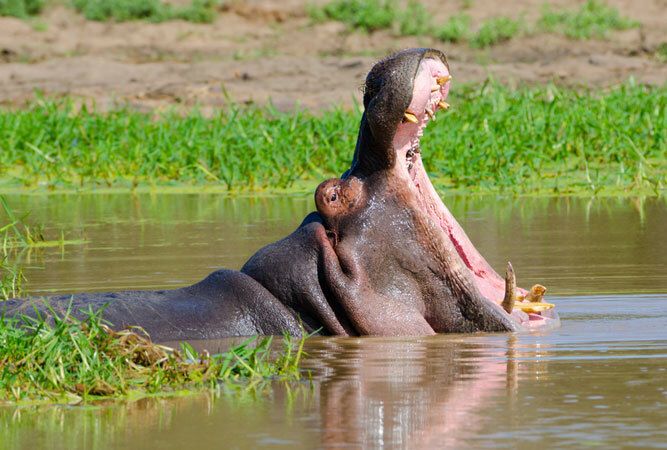 Despite being named after hippos, the last one was spotted as long ago as 1894. Seekoeivlei supports huge numbers of local and migratory water birds and the bird viewing is second to none. The rugged steep krantzes, grass-covered mountain slopes, deep vegetated kloofs, varying veld types, and crystal clear lake are what make this 18 000 hectare nature reserve such an attraction. For visitors it is a water world that combines windsurfing and fly-fishing with a chance to see wildlife (Oribi, mountain reedbuck, wildebeest, grey reebok and even African wildcat) and a rich bird life (230 bird species that include the bald ibis, blue and white-bellied korhaan, ground woodpecker and bearded and Cape vultures, Martial eagles and secretary birds). To do the reserve justice, enjoy the two-day hiking trail. On the slopes of Platberg Mountain this garden, despite being open to the public, is sadly neglected by government. What used to be one of the main attractions in Harrismith fails to meet expectations – it lacks the usual welcoming public facilities, an arboretum, shop or plant nursery. 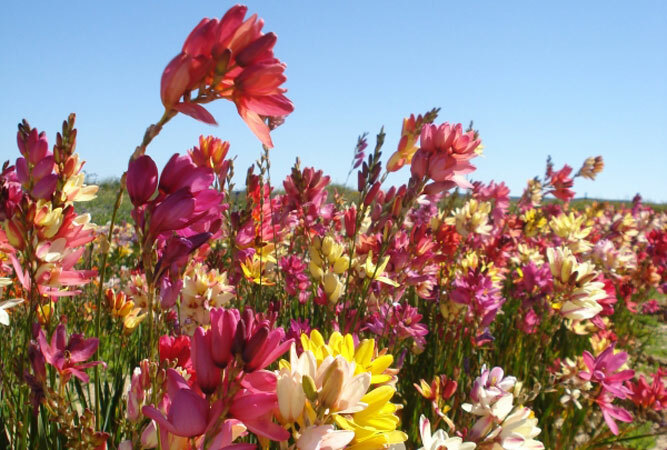 The garden is home to indigenous plants of the Eastern Free State and Drakensberg area. 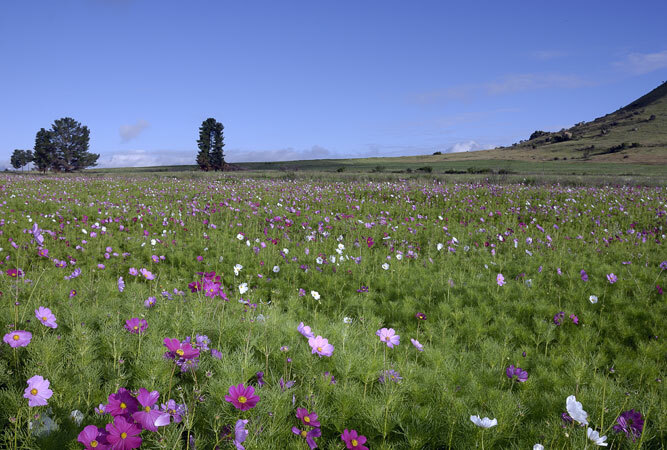 Originally established as the Harrismith Wildflower Garden it used to be a great place to explore the local flora, and for picnics. Perhaps pressure on local government from interested parties could resurrect this gem? 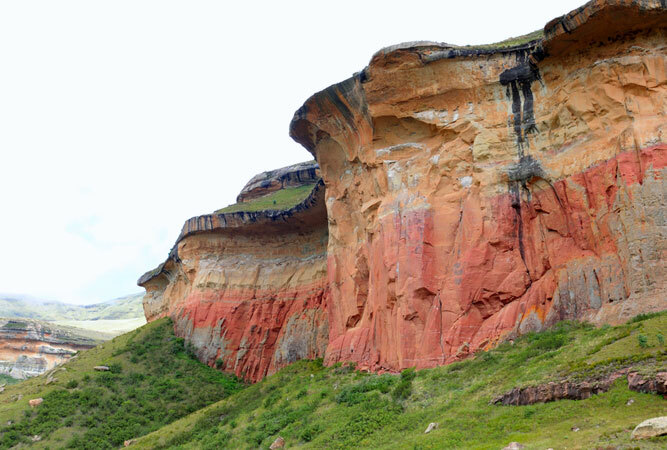 Also known as the Maloti Mountains, the Malutis belong to the independent Sotho Kingdom of Lesotho. 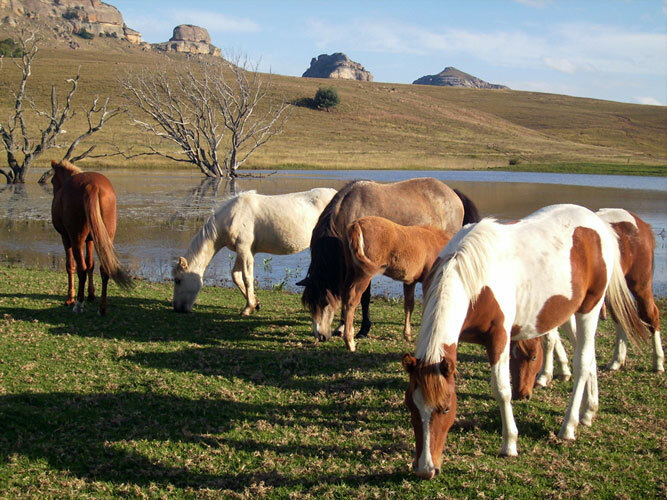 They stretch into the Free State for 100 km, their name meaning Drakensberg in Sotho; their foothills an undeveloped landscape of miles of sandstone outcrops, trees, farmers fields and summer cosmos. The highest peak in the Free State, Namahadi, has snow sometimes even in summer. The foothills of the Malutis are a playground for outdoor adventurers – fly fishing, horse riding, hiking, camping, game viewing and landscape photography fill the itineraries of city dwellers’ weekend getaways. As its name suggests this 22 000 hectare nature reserve lies between the Orange and Caledon rivers in Bethulie, in the southern Free State. 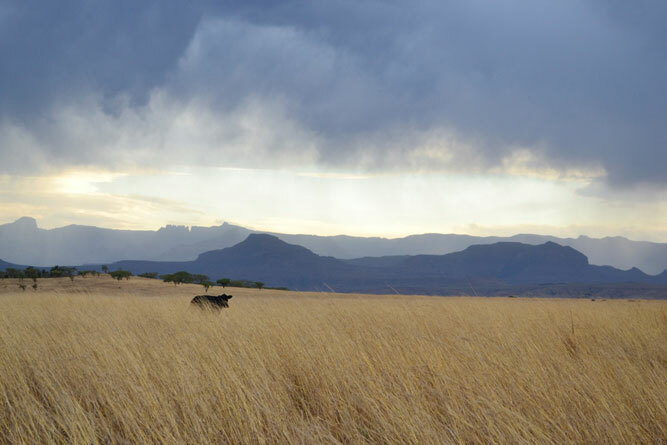 The big reserve supports a large population of wildlife that includes a large number of antelope, blue wildebeest, zebra and even white rhino. 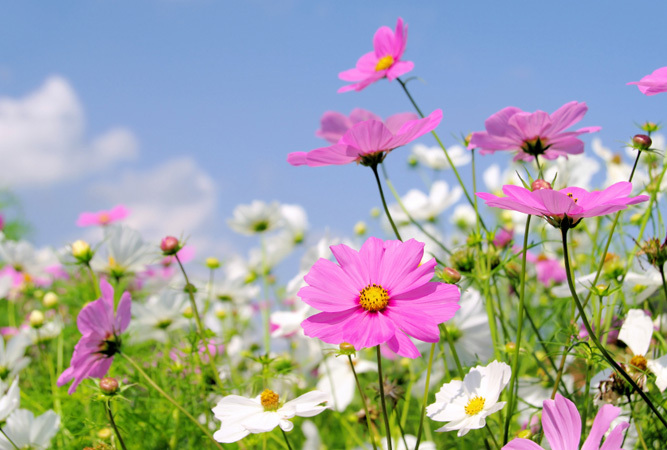 The nature trails, of which there are three, are one of the highlights of any visit. 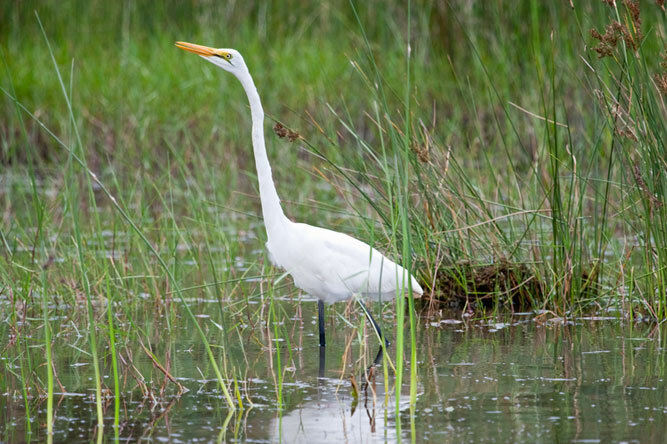 Water birds include the endangered blue crane, grey heron and African shelduck. The world’s oldest, and largest, meteorite impact site lies just outside Parys in the Free State. The impact structure dates back 2 023 million years, all that remains of the greatest known single energy release event which, according to scientists, had far-reaching and devastating global effects (the impact was twice as big as that which killed the dinosaurs 65 million years ago). The World Heritage Site is incredibly biodiverse, is home to a large animal and plant population, and is particularly scenic. Visit the impact crater, explore the rock faces and canoe the Vaal River.